Dan Simons, the co-owner of Founding Farmers, said the restaurant might utilize the RAMW course for extra training. A local restaurant group is now offering courses in sexual harassment and discrimination prevention for member restaurants. The Restaurant Association of Metropolitan Washington – which represents 652 restaurants and their employees in D.C. – began offering online training courses for both employees and supervisor positions last month. The training, which has been in the works for months, is the first of its kind for a major D.C. restaurant group. RAMW Managing Director Julie Sproesser said the group spent most of 2017 establishing the details of the program – which is offered online and in-person at the RAMW office. They settled on a program run by Inspired Learning, which created the training program. “Our main goal is to be a resource advocate and community for the members,” she said. Sproesser said the course aims to educate employees at a time when sexual harassment continues to be a major news topic. The courses will cost up to $25 per person, depending on the employee level and whether or not they are a member of RAMW, according to the group’s website. About 12 people from different restaurants have signed up for the online training, which is part of a five-year plan to create resources – like management and safety classes – for RAMW members, Sproesser said. RAMW will also offer a three-hour class, four times a year targeted at restaurant owners and managers who can then educate their staff, she added. “People working in restaurants don’t have a lot of time sit in front of the computer for hours doing a training program,” Sproesser said. Previously, RAMW offered general workplace training for restaurant members, but many restaurants brought in outside companies for their own in-person training programs, she said. “Everyone feels an urgency to make sure their company has a plan in place to support their employees,” Sproesser said. Some restaurants said they will send a representative to attend the training but will continue to uphold their own prevention methods. 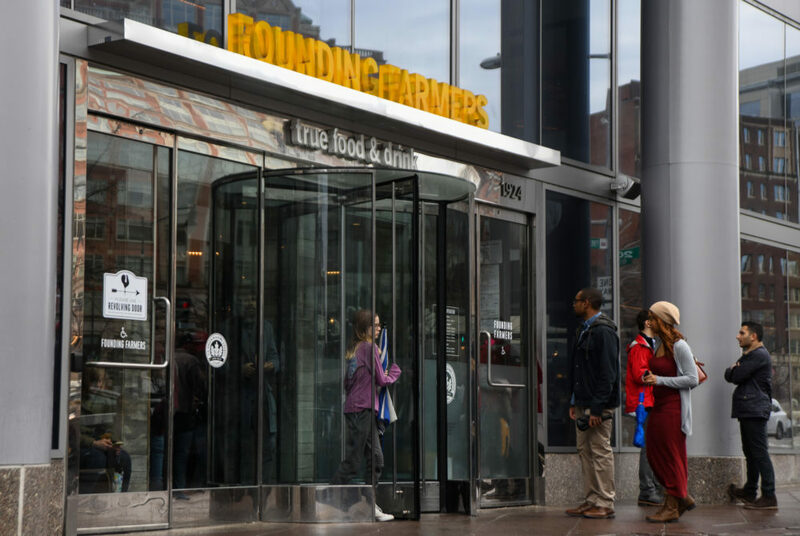 Dan Simons, the co-owner of Founding Farmers, said his restaurant implements their own “Farm School” program, a mandatory quarterly classroom session which emphasizes management and creating relationships. But he said the restaurant might utilize the RAMW course for extra training. Simons said his staff members deal with harassment by guests every week and the classes they teach are important to emphasize a safe environment. Bruce Klores, a spokesperson for GCDC, said a manager will likely take the online class, but the restaurant has their own training and employee handbook. “When the boss treats everyone with respect, cares about them as individuals and gets pleasure from knowing that the men and women who come to work know that we back them, that’s a good effective policy,” he said. Klores said in a fast-paced setting like the restaurant business – which attracts a lot of young people – sexual harassment can be a prevalent issue. The restaurant industry has been identified as a particularly vulnerable industry for harassment and accusations have been raised against several prominent restauranteurs nationally. “We can’t stop our employees from socializing together, but we can and do limit employee after-hours drinking in the shop and make sure that folks know boundaries after work,” he said. Kelly Dermody, an employment attorney at Lieff, Cabraser, Heimann and Bernstein, said the training is critical for restaurant supervisors and employees to understand the limits of acceptable behavior. She added that charging for the program deters people from taking part in it, but the cost of an online course usually funds other programs that support the training or staff that creates or manages its content. “Outside of the large chains, most restaurants don’t have the resources of a large human resources department that can provide state-of-the-art training,” she said.